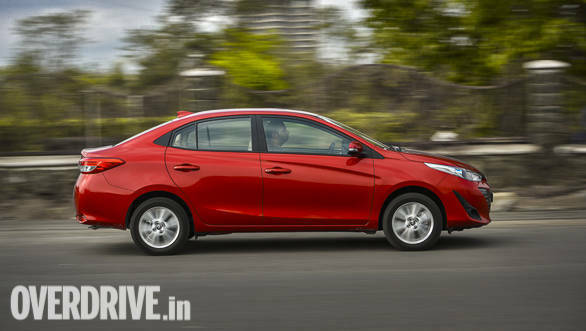 Toyota Kirloskar Motors will be increasing the prices of its entire range in India from January 1, 2019. This increase in prices on the range will be up to 4 per cent. The official release mentions, the company considered the price hike after periodically reviewing the continuous pressure of increasing manufacturing costs, which is also a general industry phenomenon. This is true as many automobile manufacturers in the country do increase their prices annually, preferably at the beginning of the year owing to the rising input costs. TKM mentions, "There has been an impact in the cost of manufacturing of vehicle primarily due to rupee depreciation. Toyota has been absorbing the additional costs all this while, protecting the customers from price increase. However, due to the continued pressure of high costs, we have to pass on a part of it to customers. Toyota is considering a price increase of up to 4 per cent across models with effect from 1st Jan 2019. We would like to express our gratitude to our valued customers for the never ending trust and loyalty towards Toyota Products." 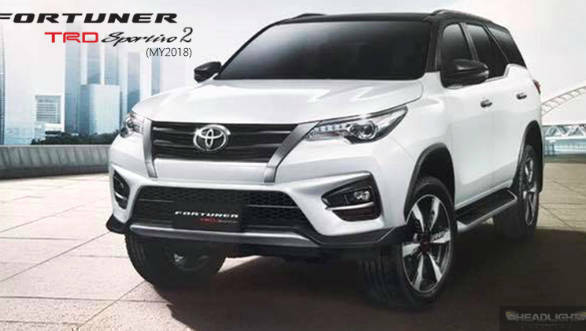 In other news, Toyota's Thai arm has shown an updated styling package for the Toyota Fortuner SUV, termed the Toyota Fortuner TRD Sportivo. 2. This is the second iteration of the sports-themed Sportivo package for the car. Changes to the exterior include a black out grille with brushed metal finish, a new bumper with a more prominent front lip, new fog lamp housings, new side skirts and a unique design for the 20-inch alloy wheels. The body is finished in two-tone with the outer mirrors, pillars and roof being blacked out. The rear similarly gets an aggressive treatment with a new rear bumper, with integrated diffusers, larger reflectors and new positioning for the rear fog lamps.